In a report published for National Numeracy Day, it was revealed that innumeracy and poor numeracy skills costs the UK economy over £20bn. And despite there being no scientific research to support the idea of a ‘maths person’, more than three-quarters of children at secondary school surveyed ahead of National Numeracy Day believe that some people are naturally able to do maths better than others. Combatting these challenges by improving attainment and study of maths past GCSE (and STEM subjects more widely) has been a target for the UK government for some years, with the current government highlighting it as a specific objective in order to fulfil the aims of the Industrial Strategy. Public perceptions of maths are poor. Research suggests that it is far more socially acceptable for an adult to say “oh I can’t work this sum out” than to say for example that they can’t read a word. As we get older, while reading and writing, and general literacy, is seen as something that is essential, many do not hold basic maths and numeracy skill in the same regard. This is despite the fact that being innumerate can have just as significant an impact on someone as being illiterate. The knock-on impact of poor numeracy skills can be seen throughout adult life: poorer employment prospects; lower confidence and self-esteem, and as a result poorer mental health; increased risk of poverty; and an increased likelihood of having a poor grasp of personal finances and as a result higher risk of unsustainable levels of debt. In addition, poor parental numeracy, has been shown to have an impact on the numeracy and confidence around maths of children and young people who grow up in the same environment. 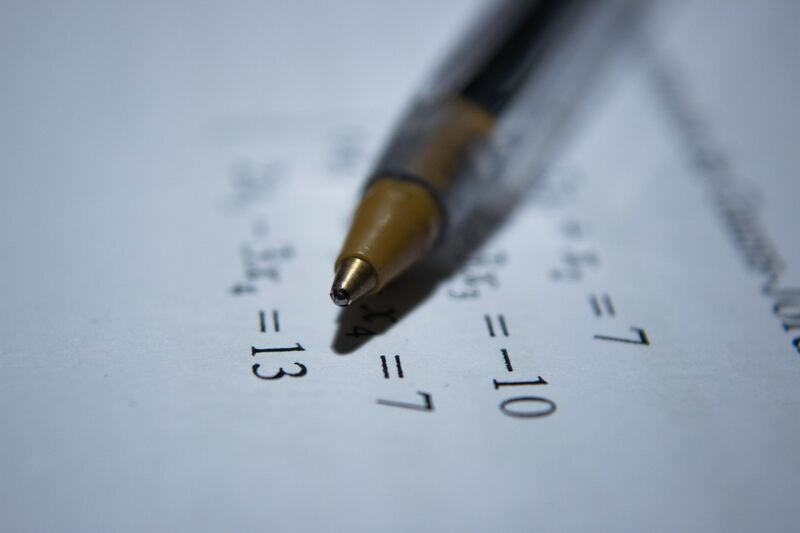 While we can’t all be maths prodigies, it is thought that poor parental attitudes to numeracy is leading to children, particularly girls and those from deprived or lower socioeconomic backgrounds, to miss out on opportunities to advance their maths education. It is hoped that specific targeted interventions, such as the introduction of maths schools will provide an environment for these pupils to flourish, and then go on to inspire the next generation. The latest PISA rankings (the new figures are due to be published later this year) show that the UK is, and has been, performing consistently poorer than a number of other developed nations. However, students from east Asia by far outperform most others. Schools are also being encouraged, as well as providing specialist maths teaching, to try to integrate some of the techniques used in Chinese and Singaporean schools in particular to drive improvement in the subject. In addition, the number of young people who take maths as an optional subject (once it becomes non-compulsory after GCSE level) is staggeringly low. Raising this, along with the general quality of maths teaching should be a priority of all schools, not just those which offer a specialist maths education. Back when Michael Gove was Education Secretary he had an idea to base maths free schools on the model seen in Russia, particularly on the Kolmogorov Physics and Mathematics school in Moscow. The specialist school which allows young people aged 11-17 to complete their formal education in a maths-centred environment is part of Moscow State University. The association with the university means that students are taught by professors and research assistants, not only raising their attainment in the subject, but exposing them to quality teaching from professionals passionate about their subject, inspiring them to understand the professional routes that further mathematics study can bring. This is something that research has suggested is not widely available in UK schools. There are two specialist maths schools in the country: Kings College Mathematics School, and Exeter Mathematics School. H callowever the government has released extra funding to try to encourage other universities to set up affiliated maths schools, making use of their teaching resource and providing an opportunity for those gifted and interested enough in the subject to excel. In Scotland, a report published in 2018 titled Making maths count suggested that maths be made a national priority, highlighting that while there were pockets of exceptional practice in Scotland, there was a lack of co-ordination when it came to sharing expertise and best practice between schools. There are no plans to encourage a similar programme to maths schools in Scotland, but suggested improvements to raise levels of teaching in maths education in Scotland have included changing the requirements for teacher training, to require new teachers to have at least a higher qualification in maths (they already have to have a higher in English to teach and some have asked why it is not the case for maths too). Additionally, projects relating to “maths upskilling” of both the current and new teaching workforce in Scotland are designed to build confidence in using maths and applying it to real life situations so that it can be taught to a high standard with a good level of understanding (which the report found is not always the case currently). Future mathematicians are vital for the future growth of the economy. And not just in the obvious areas like maths teaching, economics and statistics. The “age of digital” presents unprecedented opportunities for those with maths-based qualifications, with the demand for skilled workers with an expertise in maths far outstripping the availability of skilled maths graduates. It is hoped that the introduction (and the government hopes future further rollout) of maths schools in England will help to promote maths as a subject and raise attainment and standards in maths to encourage a new generation of maths learners to be developed. Want to check up on your maths skills? Take the National Numeracy Challenge. This entry was posted in Education and Skills and tagged Alevel, children, education, GCSE, Innumeracy, maths, Maths Schools, National Numeracy Day, numeracy, pisa, russia, school, Singapore, STEM, teachers, teaching, university, young people. Bookmark the permalink.